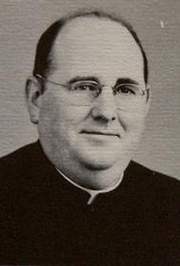 WILMINGTON — A former student at Salesianum School who alleged he was molested by a priest there in 1962 lost his civil suit seeking damages Tuesday. A Superior Court jury ruled the operators of the school — the Oblates of St. Francis de Sales — were liable under the Delaware Child Victim's Act of 2007, but their actions were not the proximate cause of the harm to James Sheehan. Two jurors who did not want to give their names said they found Sheehan's story about being molested by the Rev. Francis Norris to be credible, but said "the law" didn't allow them to make an award in his favor. "We felt we had to follow the law," a woman juror said, adding there was a divide in the jury on several issues. Sheehan was in the courtroom for the verdict and did not appear to react. Attorneys for the Oblates and several priests hugged in the hallway afterward. The case is the first one filed under the Delaware Child Victim's Act of 2007 to make it to trial. Many of the other 175 cases filed under the act — most alleging sexual abuse by priests — were put on hold after the Catholic Diocese of Wilmington filed for bankruptcy last month. The Oblates, a Catholic religious order, are a separate business entity from the diocese and so the Sheehan case was allowed to proceed. The diocese had been named in the lawsuit by Sheehan, but he settled that part of the lawsuit out of court before trial. Sheehan's attorney Thomas Neuberger said the jury sent a mixed message, finding liability under the Child Victim's Act but not awarding any damages. He said that showed the panel was "obviously confused on the matter of appropriate damages for the three unchallenged sexual assaults that evening." Neuberger said in a prepared statement that he will file papers to have the court "correct this oversight and award appropriate damages to this victim of an out of control priest." In a statement issued by Neuberger, Sheehan thanked the judge for a fair trial and "giving me the chance to publicly expose what was done to me and to so many other boys." He said the lawsuit was "never about the money, it was about getting [out] the truth." In her closing argument, Oblates attorney Colleen Shields told the jury that the case was not about the guilt of Norris, but about the law and the actions of the school. She told jurors that Sheehan was unable to prove that the actions of the Oblates or Salesianum — allowing a man who was privately suffering from alcoholism and depression — to teach was "grossly negligent." And even if Norris' problems presented a risk to students, she said, the school was not on notice that he was likely to sexually abuse a child. There was no testimony or evidence that people had complained about Norris' sexual behavior and it was ignored. Instead, Sheehan's lawyers presented documents dealing with Norris' alcoholism and depression, which Neuberger said were filled with "code words" used in the 1960s that indicated Norris had a problem with pedophilia. Outside court, attorneys and officials with the Oblates said they still do not know what happened between Norris and Sheehan more than 40 years ago. The Rev. James J. Greenfield, provincial for the Oblates, said he was happy there was not a finding against the religious order or the school. But, he added, "There are no winners or losers here. It is about healing." Greenfield said he plans to reach out to Sheehan to help him with whatever problems he may be having. He said one thing that was clear from the trial is that Sheehan still loves the school he graduated from and where he worked as a coach and sent his children. Shields said she interpreted the mixed message from the jury to mean jurors had problems with the Oblates' allowing a man with an alcohol problem, depression and a suicide attempt into a classroom in 1960. Nevertheless, the jurors agreed that school and Oblates officials could not have foreseen that those problems would lead Norris to sexually abuse a student. Oblates attorney Mark Reardon said he read the verdict as stating, "A bad man did a bad thing," but that the sins of one man should not be visited on the religious order or the school. He also said he did not think the case set any kind of precedent for future trials under the Delaware Child Victim's Act and that the suit should have been thrown out before trial. Unlike other cases filed under the act, Reardon said, this was an isolated incident. The alleged perpetrator died years ago and there was no extensive record of sexual abuse as has been alleged in other cases. Neuberger agreed to the extent that this was not an "actual notice" case like many others where officials had been directly warned about the prior actions of a priest before an assault occurred. Sheehan, 63, claimed that when he was 15, in April of 1962, Norris caught him and several friends playing basketball in the gym of Salesianum when the all-boys Catholic high school was closed for religious holidays. He testified that Norris took the other boys home but kept him in the car until last and began to fondle him. Sheehan said when he got out to walk home, Norris lured him back by telling him, "God has a message for you." Later, Sheehan testified, Norris told him it was God's will when he was molesting him.